In a small village in Lesotho called Ha Mosekeseke a group of 15 girls, ages 10-14, are receiving financial literacy and social support through the Coordinating Comprehensive Care for Children (4Children) DREAMS program. The financial education that empowers and improves social assets is just part of a comprehensive package to protect and prevent young women from engaging in risky behavior. The help that the girls receive from the 4Children program is not stopping with them. Already they are paying it forward and helping others in their community. 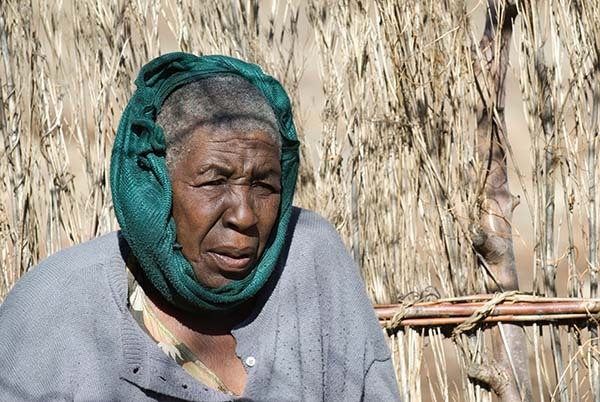 In their village, Nkhono, aged 64, has only one leg; she lives on her own in her small, mud-walled house. Even simple chores like cooking and cleaning present her with great challenges. The girls in the 4Children group said that previously they thought people living with disabilities are little more than a burden to the community. But in a session called “Can and Able,” the girls began to recognize that disability does not mean inability. In July, the girls met with Nkhono and helped her with some house chores. They brought maize meal and vegetables to her place and cooked for her. After the first visit, the girls committed to going at least once a week to clean and spend time with NKhono. Through the girls’ initiative, the program is not only building their own social assets, but also reaching others in the community.